A lot of other food blogs will write about the best openings of the year, the most lauded chefs and the biggest trends. But as I only started this blog in September, I am going to tell you about my personal highlights of 2012. Some months were a lot busier than others, sometimes work got in the way and at other times personal tragedy meant that eating out was pretty low on my list of priorities. But one thing is for sure, eating good food played a very big part of my year. We spent 2 weeks with family in Abu Dhabi over Christmas. Being away meant that I missed my good friend, Ashleigh’s birthday. So my January highlight is all about her! Ashleigh loves tea, so for her birthday I bought her ‘Afternoon tea at The Goring Hotel’. Many people will remember this hotel for being the one that Kate Middleton used to get ready at for her wedding to Prince William. It is a gorgeous hotel, traditional in every sense of the word. Service was impeccable and I remember the food just kept on coming. It was a wonderful way to spend an afternoon on a cold Sunday in January. Dinner with my girlfriends at Galvin La Chapelle. Situated in the heart of the City, this is one of six restaurants in the ever expanding empire of brothers Chris and Jeff Galvin. The restaurant is housed in a chapel (hence the name) and is absolutely stunning. I loved the contrast between the old chapel and the ultra modern glass high-rise buildings around it. Serving modern French food, it was a real delight! The month of our wedding anniversary. I was lucky enough to eat at two fantastic restaurants. As a surprise, TBH booked The Ledburyfor our anniversary lunch….but only realised too late that it was the wrong date! Fortunately I was so thrilled by his choice, that I didn’t mind too much. The Ledbury is headed up by Aussie wonder-kid Brett Graham, who so impressed his bosses at The Square, that they invested in this restaurant for Brett to run. It is a small restaurant in Notting Hill, but really nails the neighbourhood feel. It is relaxed and the food is sensational! The Ledbury was one of my top 2 dining experiences of the year! On the Saturday of our actual anniversary, TBH and I ate at Dabbous. For many this has been the hottest ticket in town this year. We managed to get a table before the hype got totally out of hand and you could still get a table reasonably easily. For me, the cooking was fresh and interesting and it was the best value tasting menu in London! I even got to meet the man himself, Oli Dabbous. He was humble and seemed quite surprised at the furore he was creating in the restaurant world. Dabbous makes it into my top 3 of dining experiences for 2012. The month I lost my dad. We had to fly back to South Africa really suddenly as my dad was ill and sadly he never made it. But one of the good things about being back in South Africa, is the good food. Even the chains serve great food, at great prices. (Especially when you’re paying in pounds!) We had regular meals at the Ocean Basket seafood chain. A seafood platter for two people including prawns, mussels, calamari and a fillet of fish for around £15. You can’t beat that! I remember London having unseasonably hot weather in May. Our next lunch was booked at Texture. A Scandinavian-influenced restaurant and champagne bar by Agnar Sverrison. I was expecting really big things from this restaurant as this is where Oli Dabbous had just come from and I really loved our lunch there a couple of months previously. It was good, but it didn’t blow me away and I remember thinking that there was way too much ‘ice or snow’ with each dish, but the dessert was amazing – a take on Strawberries and cream. Perfect for the hot weather we were having. Every now and then I have to work on a Saturday. I work in the City and within walking distance from Hawksmoor, Spitalfields. As I’ve said before, this is my favourite place to go to for a good steak. 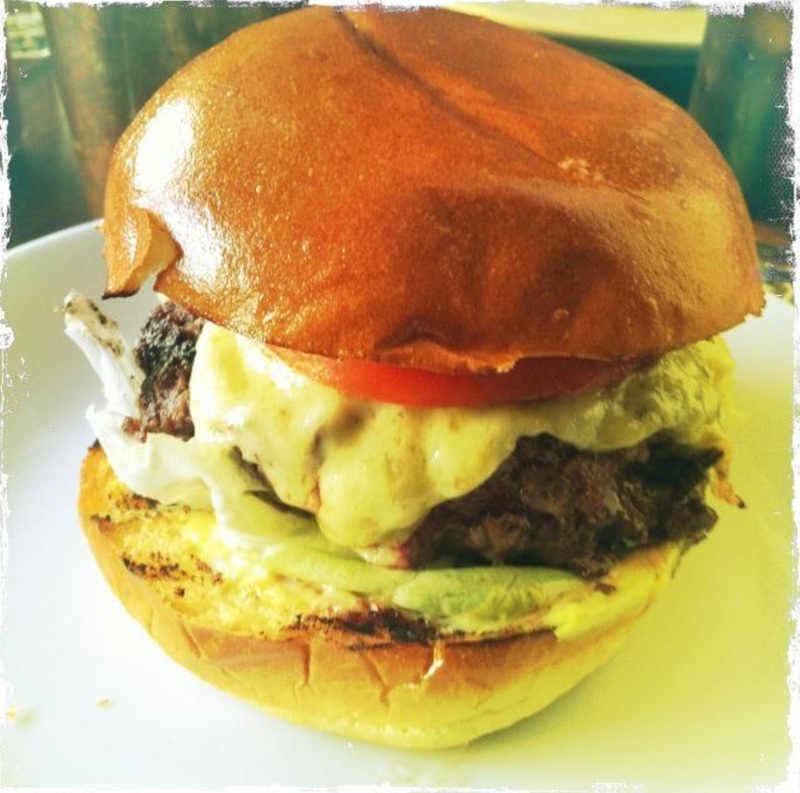 However, Hawksmoor in Spitalfields runs a Saturday special of a burger and chips for £15. It also so happened that on this particular Saturday I had a terrible, terrible hangover! And the only thing that can cure my hangovers is a big, fat hamburger. Burger joints were a major trend in restaurant openings this year and I have yet to try them, but this burger from Hawksmoor was pretty darn good! June also saw Sat Bains cooking at The Cube, a pop-up based at London’s South Bank centre. I didn’t have the pleasure of eating there, but I did get to meet him at Priceless Wonderground festival, also at the South Bank. A really nice, friendly man with the biggest hands I have ever had the pleasure to shake! I went to America for the first time ever this month for work. I absolutely loved it and I got to try some very good Mexican food and some fantastic steaks cooked by my dear friends and hosts. It’s true what they say about the portion sizes though, I’m sure I came back a few pounds heavier! This month we had dinner at Upstairs at The Ten Bells. 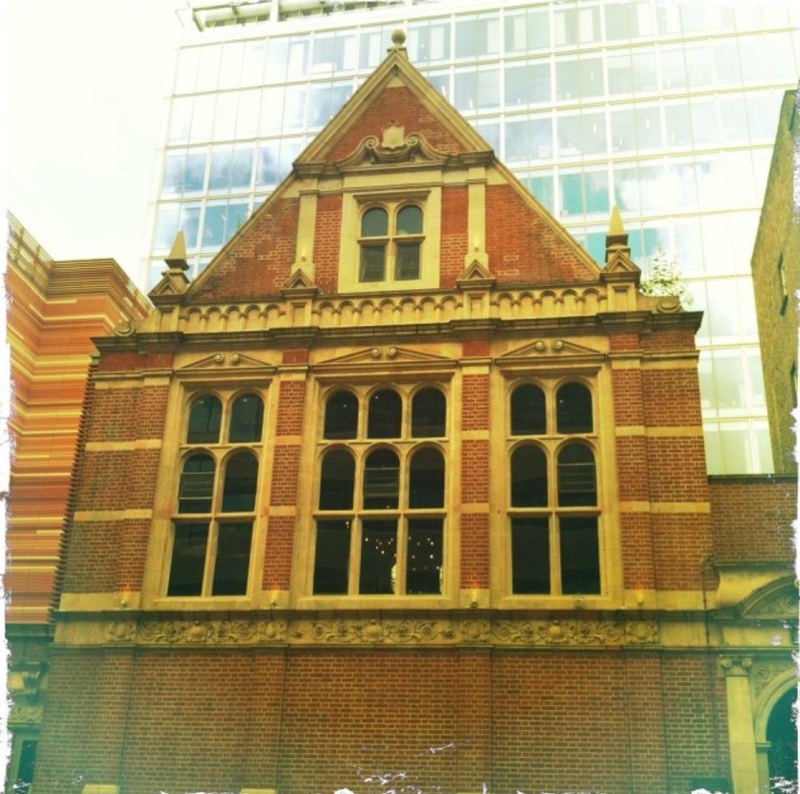 As the name suggests, the restaurant is located on top of a very well known boozer in Spitalfields and is a collaboration by two of The Young Turks and another from The Clove Club. Both very popular supper clubs in London. It started as a 3 month pop up, but has proved so successful that it is now located there permanently. The room is quirky, with mismatched furniture and a Tracy Emin neon hanging on the wall. The food was outstanding and really good value. With an ever changing menu, it really is the kind of place you could visit every week and never get sick of. The month of my birth and the birth of Sam The Food Fan. We went to Kos in Greece for our summer holiday. I loved eating the wonderfully fresh seafood and also had a Greek salad twice a day, every day for 7 days! A really fantastic holiday. As it was my birthday, I also went to Theo Randall at the Inter-Continental Hotel for dinner with my friends. I loved it! And another bonus was meeting Theo, who charmed us all and gave me a signed copy of his book as a birthday present. You can read all about it here. It joins The Square, The Ledbury and Dabbous in my top dining experiences of 2012. I really enjoy running but this year wasn’t a great year for me on that front! In October I had a 10km run planned with one of my friends in Clapham. As another friend also lives there, we booked Trinityfor lunch after our run – either as a reward for a race well run or to commiserate. Clapham is very lucky to have this restaurant as their local. Everything from the location, to the ambience, to the staff were absolutely outstanding. I really enjoyed my meal there and am dying to go back with TBH. A very big work project was coming to fruition in November, so it was very much ‘head down’ during this month and my social life was pretty non-existent! My waistline and TBH’s wallet were very grateful. And so we come to the end of the year. I had a week off before Christmas and it was a perfect opportunity to try some of the restaurants on my bucket list that do not take reservations. There were some fabulous meals at José, Bone Daddies and Kopapa, but I saved the best until last. A Christmas treat at the number one restaurant on my list – The Square. I built this up so much and was so excited about our dinner there and it really didn’t disappoint. You can read the full review here. The final highlight of 2012 was a fondue Napoli in Amsterdam where we saw in the New Year. It was everything a fondue should be, cheesy, rich and shared with loved ones! I hope that you enjoyed the list and that it gives you some inspiration of places to try in 2013. I have a whole lot more restaurants on my list to try next year and I cannot wait! London really is a great place to be eating! Wishing you all a very happy New Year, may 2013 bring you everything you wish for!